We are an experienced and AISC certified structural steel fabricator and erector. We provide Quality Management System (QMS) approved structural steel fabrication and erection. 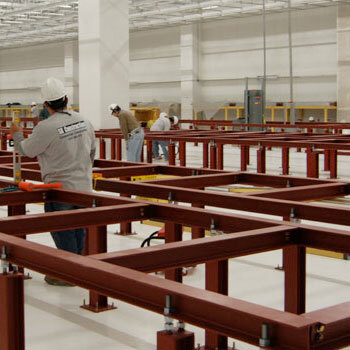 Our In-house fabrication facility is capable of fabricating structural steel which meets the strictest tolerances. We also offer services for Miscellaneous Steel consisting of Guardrails, Metal Stairs and other miscellaneous products. 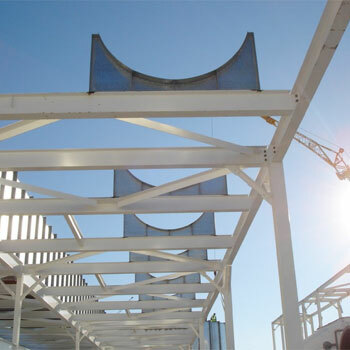 We have the capability to fabricate any structure the project requires. Our Employees are always ready to deliver the project to the jobsite in timely manner . 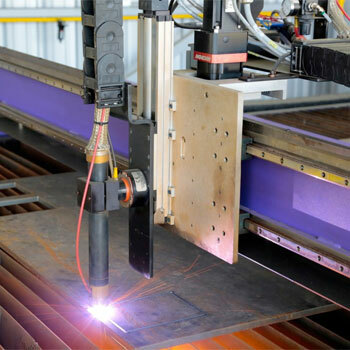 Our facility is equipped with high end steel processing equipment which allows us the capacity and capabilities to efficiently handle any speed fabrication project. The semiconductor industry faces a continuous challenge for ways to create better technological systems and improved yield performance. SK Commercial Construction Inc (SK) entered this industry with one goal in mind, to help each client achieve their own fabrication goals. 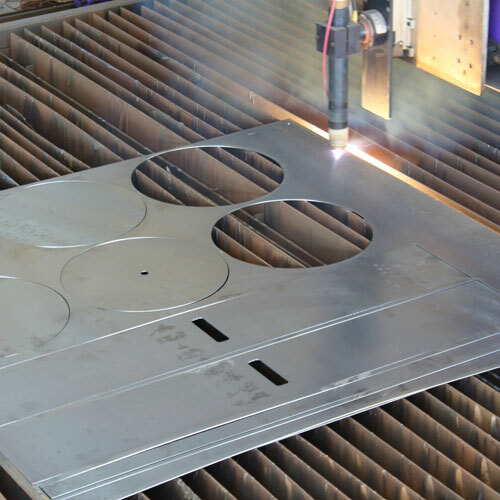 This customer oriented approach is what has excelled SK to the top of the pedestal fabrication/installation market. As a turnkey contractor SK manufactures and installs concrete type bases for vibration sensitive equipment as well as steel bases for structural support for the tools that are too heavy to be placed directly on access flooring. Unlike our competitors SK fabricates and performs all work in-house, this is what gives us the ability to accelerate schedules when needed. 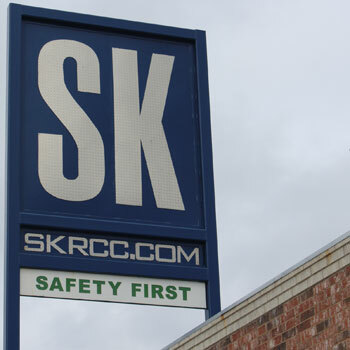 SK Commercial Construction, INC. is an established structural steel company located in Killeen, TX. 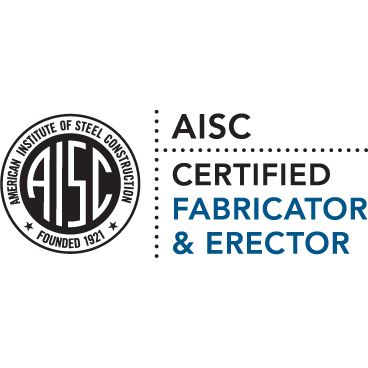 We are an AISC Certified Structural Steel with a Sophisticated Paint Endorsement and Erector with Metal Deck Installation Endorsement. 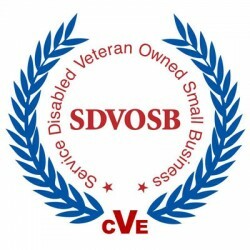 We are a HUB certified company with the State of Texas and a verified Service-Disabled Veteran-Owned Small Bussiness (SDVOSB). 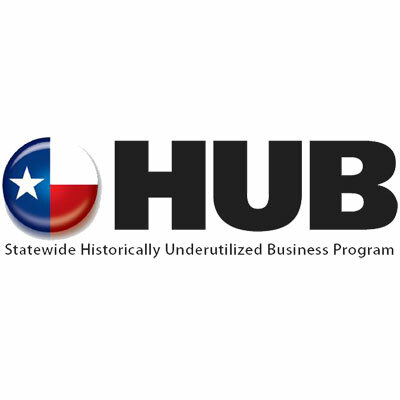 We are founded on strong core values, committed to outstanding customer service and focused on the growth of our company while delivering highest quality products. Our vision is to be the leading source for Steel Construction and High Tech Construction Projects ensuring the delivery of the highest quality products. We focus on “SAFETY FIRST” ensuring that every employee is safe in their workplace.